Minister of Foreign Affairs, Geoffrey Onyeama, Wednesday disclosed that President Muhammadu Buhari’s government did not know that the United States was listening in on telephone conversations of some officials of the Jonathan administration in order to monitor high-level “suspicious” transactions made in the country. Recall that in July, a compromising telephone conversation between former Minister of Petroleum Resources, Diezani Alison-Madueke, and her business associates, Kola Aluko and Jide Omokore, was leaked. In the recording, Alison-Madueke was heard cautioning Aluko over his extravagance, warning that he was attracting scrutiny. Reports of the content had emerged as part of developments in the ongoing legal proceedings in the United States. 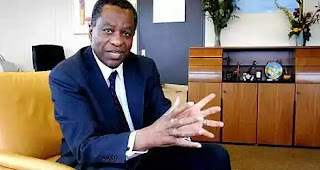 Speaking with state house correspondents in Abuja on Wednesday, Onyeama revealed that the government was making effort to recover stolen funds hidden abroad. He said, “On the issue of how much is stolen from the country, it’s an ongoing thing, we have been discovering all the time because you see the sophistication that there is today in hiding money around the world is amazing, even western countries themselves have a lot of problems and it takes them a lot of time and they discovered about the Panama papers, nobody knew about all those funds illegally stashed until you suddenly have the revelations under the Panama papers. So it’s really an ongoing thing and then new ones coming up all the time. “As you saw recently we never knew about the US eavesdropping on some telephone conversations of members of the previous government and private sectors talking about investments that were made in the United States, it just suddenly came out like that, so it’s an ongoing thing”.